First of all, what is it? Botox®, or OnabotulinumtoxinA, is a purified protein that works by inhibiting the neurotransmitter, acetylcholine. Acetylcholine inhibition allows the relaxation of those pesky, overactive, wrinkle-causing muscles. Less movement and muscle relaxation allows the surface of the skin to smooth out. The time it takes for your skin to smooth out depends on the depth of your wrinkles. If the wrinkles have been there for several years, and are very deep, it may take time for them to smooth out. Newer wrinkles may look smoother within days after being treated. In addition, Botox® prevents the wrinkles from getting deeper, by relaxing the muscles and preventing the skin from getting creased more deeply. What areas can be treated? The most common treatment areas of the face include the Glabella (vertical lines between eyebrows), Frontalis (horizontal lines across forehead), and Crow’s Feet around the eyes. When will I start seeing results and how long will it last? Patients will start seeing a difference in just a couple of days and should expect full results 1-2 weeks following treatment. Botox® typically lasts 3 to 4 months, and even longer for some individuals. 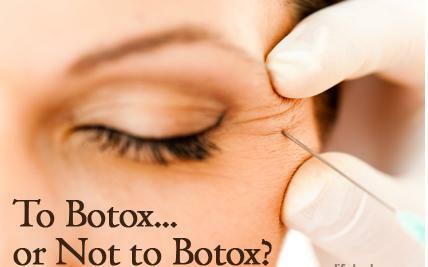 Is there anything I need to do after Botox® Treatments? You will need to avoid laying flat for at least 4 hours following treatments, try not to move your facial muscles to see if the product is working (this may cause the product to break down faster). Also, skip your work out for about 24 hours, and try not to get hit in the face. Another very important aspect to take into consideration is how your Botox® is administered. 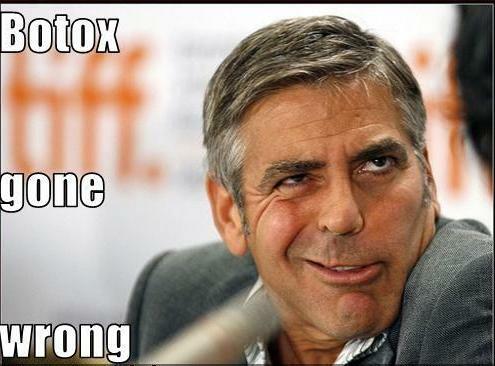 Unfortunately in Texas, pretty much anyone can inject Botox®. It is very important to get treatments from a fully trained physician for ideal results. Be careful in choosing who will inject your Botox®, do your research and ask questions! We don’t want you to end up looking silly like George! Considering treatments? Call us to set up a complimentary consultation! All new patients receive Botox® at only $10/unit, and as part of our summer specials, we are offering 10% OFF to all existing patients. Come by SLPS and take advantage of these hot summer prices!